Fresh fruits are delicious in cocktails. But that doesn’t mean they’re easy to work with—especially when there are peels, pulp, or seeds involved. Passionfruit? It’s got all three. The flavor of the vibrant, acidic fruit is ideal in cocktails, but the fruit itself is, to be honest, a bit of a pain. So when we discovered a great passionfruit liqueur, we fell in love immediately. Giffard’s “Fruits de la Passion” liqueur (we trust that you can translate that one from the French) tastes vividly of the fruit itself. Just a sparing dose can lend your cocktails a bright, semi-tropical vibe. Try it in one of these three doctored-up classics. Rum, lime, and passionfruit—what’s not to love. 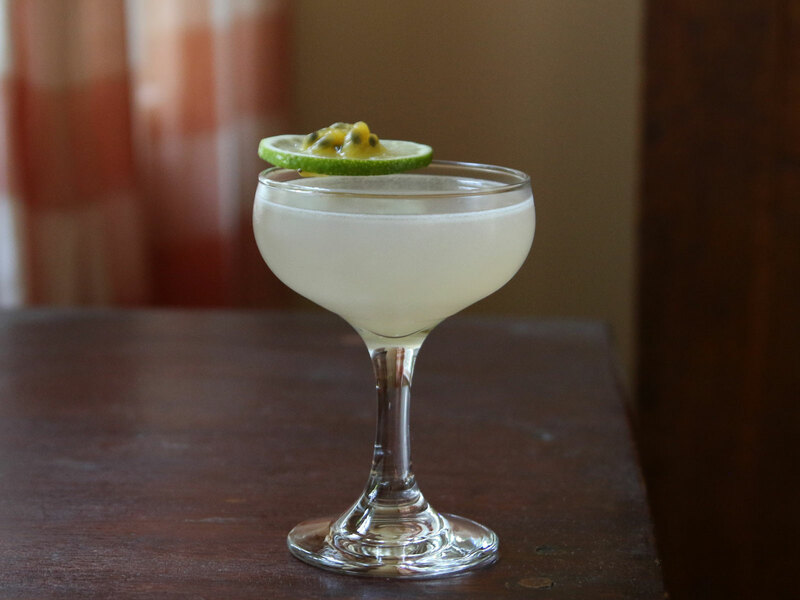 Lime amplifies the passionfruit’s natural tartness, and dry white rum is the perfect counterpart. Instructions: In a cocktail shaker with ice, combine 1 1/2 ounces of white rum (we’re fans of Brugal Extra Dry), 3/4 ounce of passionfruit liqueur, 1 ounce of fresh lime juice, and 1/4 ounce of simple syrup. Shake all that up well and strain into a chilled cocktail glass. Garnish with a lime wheel. In the world of classic cocktails, the rickey is often under-appreciated, but the combination of spirit, lime, and soda is a great one—crisp, refreshing, totally no-nonsense. A good measure of passionfruit liqueur fits right in. We’re using vodka in this drink, but any light spirit would work just as nicely. Instructions: In a cocktail shaker with ice, combine 1 ounce of vodka, 1/2 ounce of passionfruit liqueur, and 1/2 ounce of lime juice. Shake until well-chilled and strain into a big glass with crushed ice. Top with 2 ounces of club soda and give a quick stir. 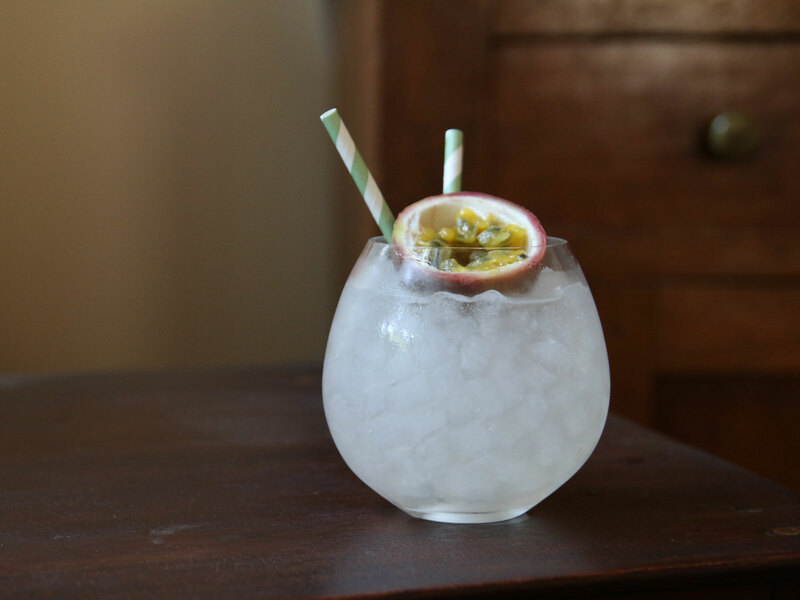 Garnish with a half of a passionfruit. We’ve never met a variation of the French ’75 (gin, lemon, bubbles) that we haven’t loved, and adding a dose of passionfruit works beautifully. And a segment of fresh passionfruit makes for a lovely garnish. Instructions: In a cocktail shaker with ice, combine 1 ounce of gin (we’re fans of Beefeater), 1/2 ounce of passionfruit liqueur, 1/2 ounce of lemon juice, and 1/4 ounce of simple syrup. Shake until well-chilled and strain into a Collins glass with fresh ice. Top with 2 ounces of sparkling wine and give a quick stir. 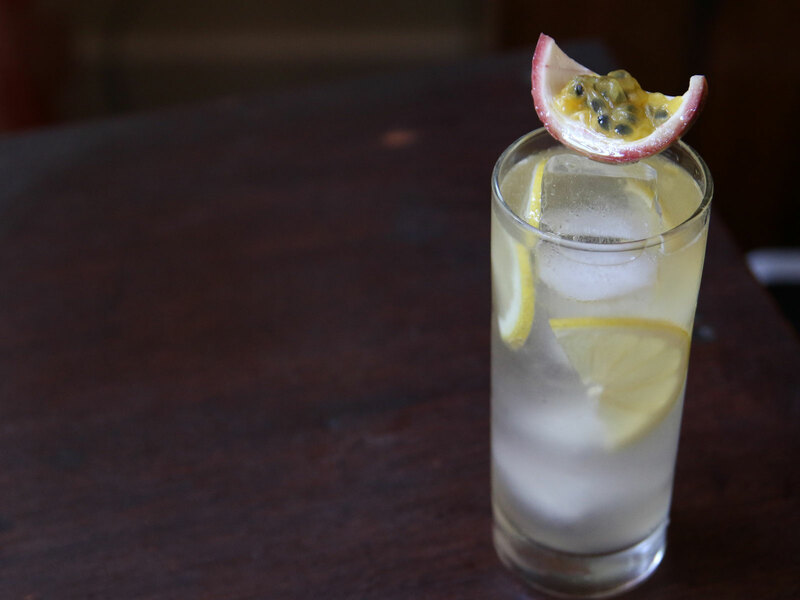 Garnish with a few lemon half-moons and a segment of passionfruit.